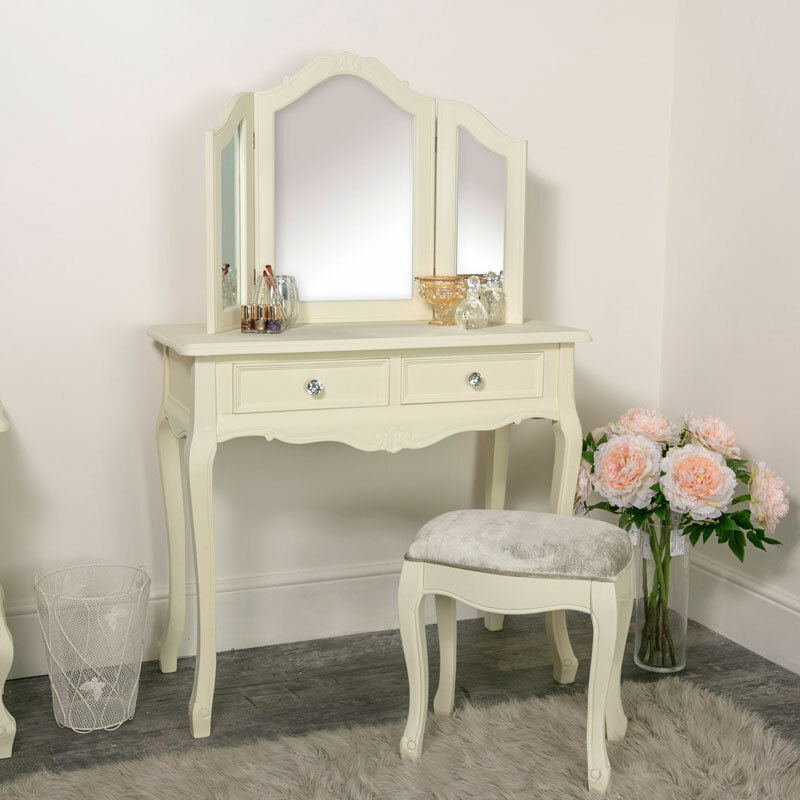 This dressing table set forms part of our vintage French inspired Elise Cream Range. 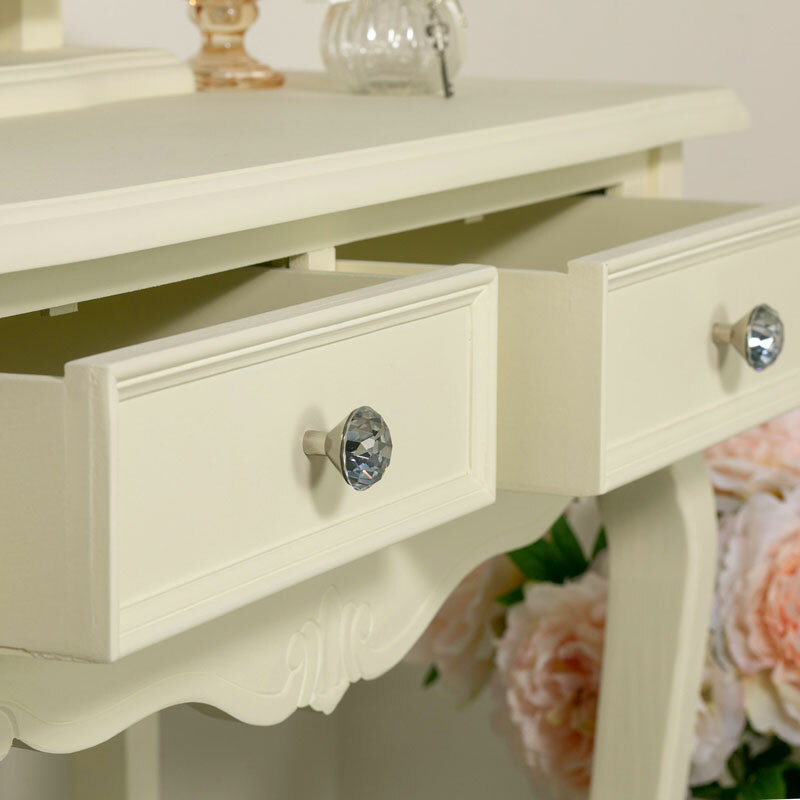 Beautifully designed with shabby chic styling, featuring ornate carved detailing in the woodwork and crystal style handles. 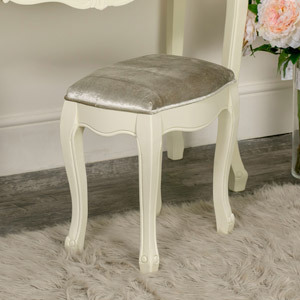 This set will make the perfect addition to any bedroom or glamourous boudoir. 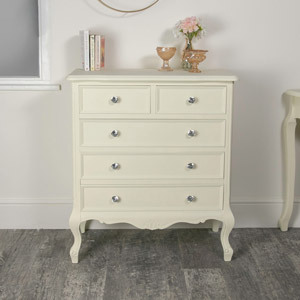 With many more pieces available in the Elise Cream Range for you to furnish your bedroom in this gorgeous look. 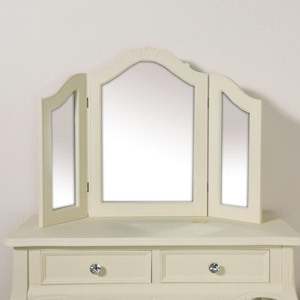 The set features a dressing table with a 3-way tabletop mirror and cushioned stool. 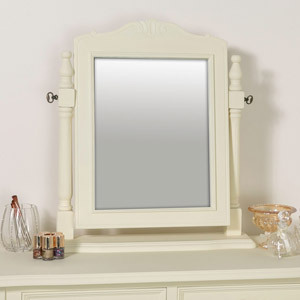 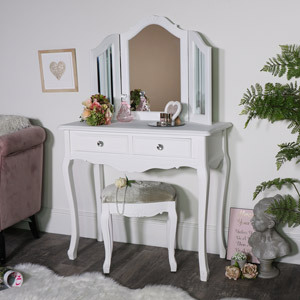 The dressing table comes with 2 drawers, ideal for storing makeup, accessories and knick-knacks, a triple mirror allowing for the panels to be adjusted and finished with a soft cushioned stool for extra comfort. 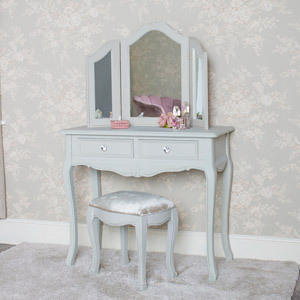 This dressing table set forms part of our vintage French inspired Elise Cream Range. 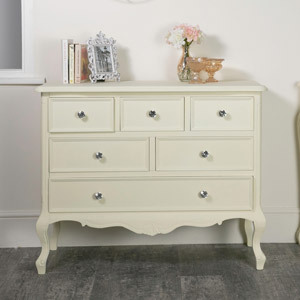 Beautifully designed with shabby chic styling, featuring ornate carved detailing in the woodwork and crystal style handles. This set will make the perfect addition to any bedroom or glamourous boudoir. 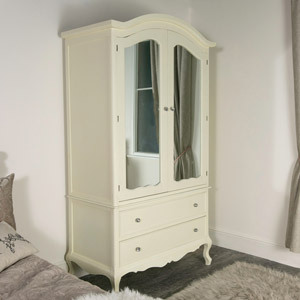 With many more pieces available in the Elise Cream Range for you to furnish your bedroom in this gorgeous look. 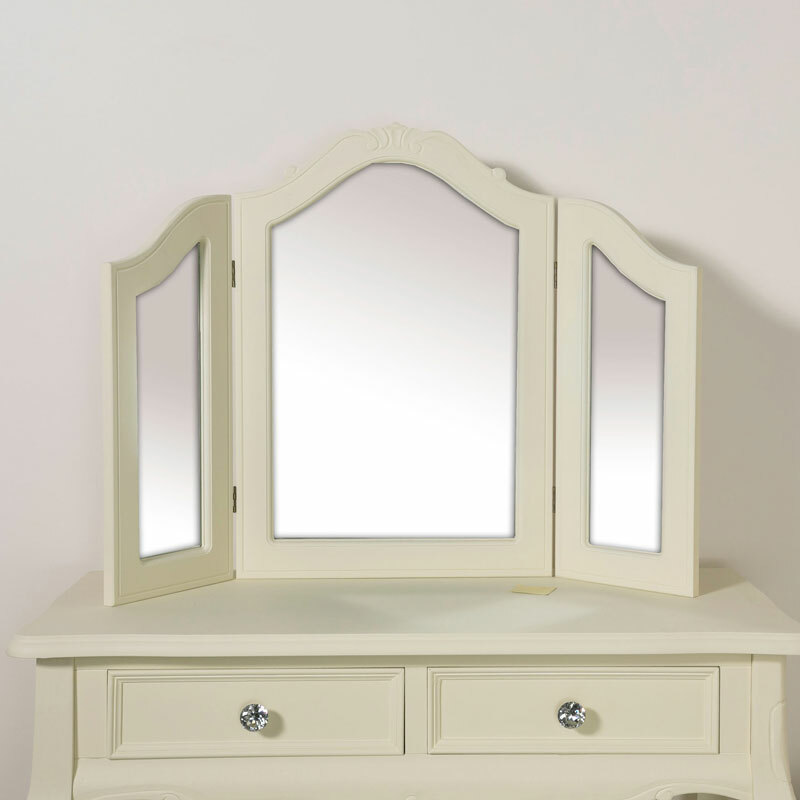 The set features a dressing table with a 3-way tabletop mirror and cushioned stool. 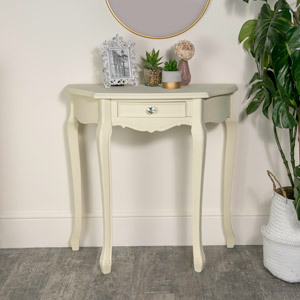 The dressing table comes with 2 drawers, ideal for storing makeup, accessories and knick-knacks, a triple mirror allowing for the panels to be adjusted and finished with a soft cushioned stool for extra comfort.